According to esoteric philosophy, physical sounds and even mental sounds have their occult counterparts. Inner and subtle aspects of sounds are in a way the “souls” of sounds, and their corresponding effects are projected over the “mantric” levels in Akasha. The words we use have, therefore, wider spheres of influence than we can always know of. The power of thinking and the act of producing sounds both mentally and physically is connected with rhythmic and sympathetic vibrations, and using it properly is part of the learning process for earnest students. The fact is well-known that higher thoughts and feelings obey to no boundaries. Distances in space-time are flexible and relative, sometimes even non-existent for subtle energies. The fact that she preferred to be called H.P.B. 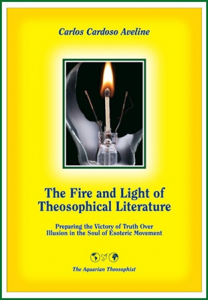 is registered all over the theosophical literature. This would be enough to infer that she did not prefer being called “Madame”, but there are more evidences about that. Advanced disciples are highly trained in truthfulness and sincerity, and HPB rarely used half-words. In the 21st century, no well-known woman is called “Madame”. Famous women are addressed by their names, and – in languages other than French – the word “Madame” has evolved for the worse since 19th century. In more than one context the term is now derogatory. We can still find H.P.B. respectfully called “Madame Blavatsky” in the theosophical literature, and that is correct. Yet Sylvia Cranston had solid reasons never to refer to Blavatsky as “Madame” in her outstanding biography of H.P.B. Cranston’s work seems to be the turning point in the establishment of a new trend. All over the world, the number grows of students who refer to the founder of the movement as she preferred to be addressed. Few have reasons to do otherwise. Quoted in the book “HPB – The Extraordinary Life and Influence of Helena Blavatsky, Founder of the Modern Theosophical Movement”, by Sylvia Cranston, published by Jeremy P. Tarcher/Putnam Books, New York, USA, 1993, 647 pp. See page 181, chapter “Last Days in America”. “The Letters of H.P. Blavatsky to A. P. Sinnett”, Theosophical University Press, Pasadena, CA, USA, 1973, 404 pp., see p. 147. 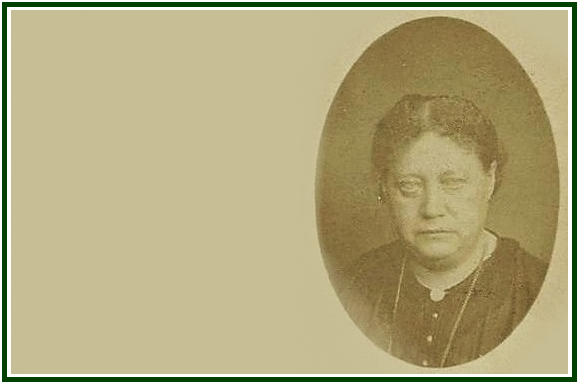 “In Memory of Helena Petrovna Blavatsky”, by Some of Her Pupils, Theosophical Publishing Society, London, 1891, facsimile reprinting, Theosophical Publishing House, London 1991, 96 pp., see p. 39. “Old Diary Leaves”, Henry S. Olcott, TPH, India, 1974, volume I, p. 455. The facsimile of this inscription was published by Mr. C. Jinarajadasa at “The Theosophist”, August 1931 edition, p. 560. The first version of the above text was published at “The Aquarian Theosophist”, in the Supplement to its January 2006 edition. The text also appeared in the July 2012 edition of the magazine, under the title of “H. P. Blavatsky Was Not a Madame”.